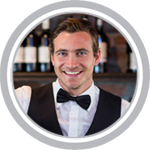 Florida alcohol seller-server safety training ensures that sellers and servers of alcohol understand state and local liquor laws and serve alcoholic beverages responsibly. An alcohol seller-server training program can also significantly reduce the risk and liability associated with alcohol service. Florida Responsible Vendor Training results in fewer underage sales of alcohol, fewer DUI fatalities in states where training is offered, and more successful compliance with state statutes on the part of servers, who are more professional and knowledgeable when serving alcohol to patrons. Vendors who successfully complete training and maintain compliance may receive a reduction in their liability insurance premiums. The Florida Division of Alcohol & Tobacco Enforcement regulates the manufacturing, distribution, sale, and service of alcoholic beverages and tobacco products in Florida, including: receipt and processing of license applications; collection and auditing of taxes, surcharges, and fees paid by licensees; and enforcement of the laws and regulations governing the sale of alcoholic beverages and tobacco products, pursuant to Chapters 210, 561-565, and 567-569, Florida Statutes. 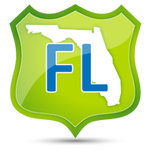 The Florida Statutes that pertain to Responsible Vendor Training are Sections 561.701, 561.702, 561.703, 561.705, and 561.706, Florida Statutes. We offer online Alcohol Safety Training in Florida for: Jacksonville, Miami, Tampa, Orlando, St. Petersburg, Hialeah, Tallahassee, Fort Lauderdale, Port St. Lucie, Cape Coral, Pembroke Pines, Hollywood, Miramar, Gainesville, Coral Springs, Miami Gardens, Key Biscayne, Palm Beach, Niceville, Parkland, and many more!